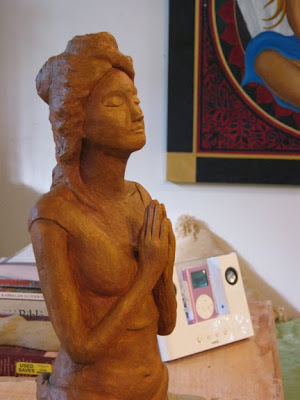 I have been more focused of late on my painting but figurative sculpture continues to be one of my great passions. 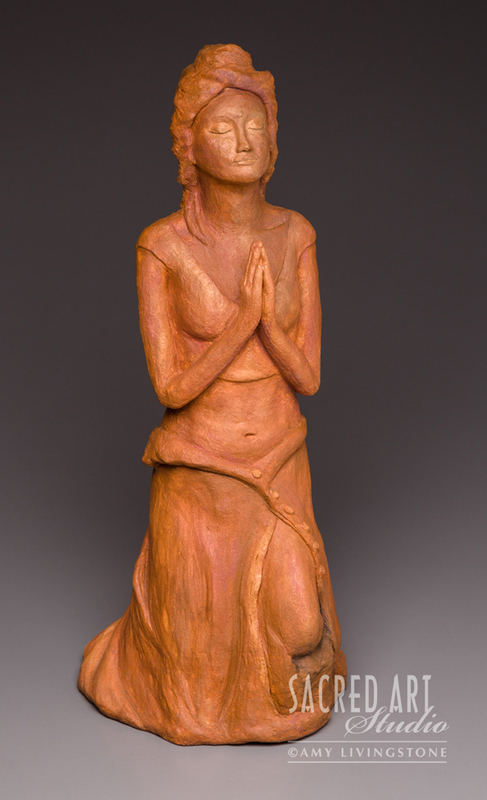 I finished these—’Prayer’ and about ten of these earth goddess torsos—last year and only got to firing them this week. 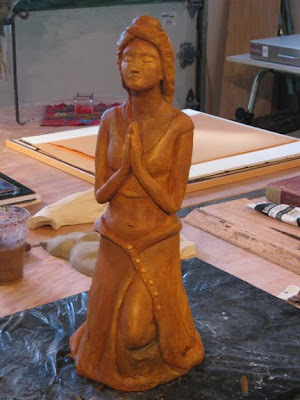 After spending nearly two years on a large sculptural commission, The Offering, I turned back toward an intimate encounter with the canvas that I experience when painting, which is a meditative process. 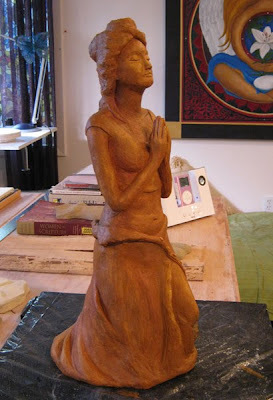 This is in contrast to my working with clay which is a more visceral and embodied experience for me. 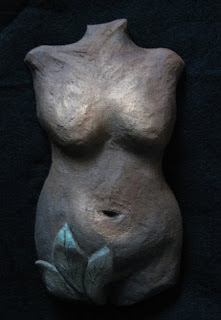 With hands immersed in the warm and moist clay from the earth, there is a physicality in shaping and building up the clay that is very sensual and connective to the living Earth. I am also reminded that this is an ancient modality in which our ancestors once gave expression to their experience of the Sacred. 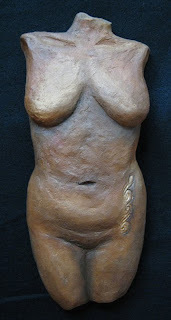 Will archaeologists one day dig up fragments of my sculptures and wonder about this period in history? What will they discern of our time? That there existed a society of people and artists who had reverence for life and the earth, the sacred feminine, beauty, and peace? Let’s hope so!